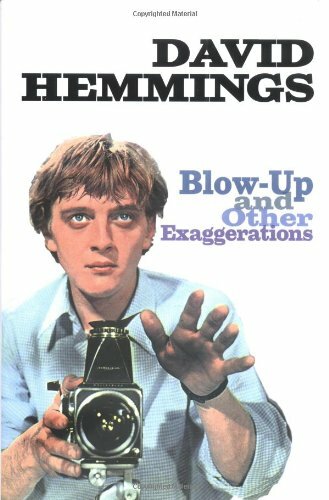 David Hemmings was one of the big three of young, British male film stars in the mid-'60s, along with Terence Stamp and Michael Caine. Hemmings first made a name for himself as a boy soprano, appearing in works by the legendary British composer Benjamin Britten. He became a big name when he starred in Antonioni's daring 1966 film 'Blow Up', playing a character loosely based on photographer David Bailey, and later in 'Camelot (1967)', 'Barbarella (1968)', 'The Charge Of The Light Brigade (1968)', and as the impressive lead in 'Alfred The Great (1969)'. Turning more to directing and producing, Hemmings directed episodes on very high profile American shows such as 'Murder, She Wrote', 'Quantum Leap', 'The A-Team', 'Magnum', 'Airwolf', and more. His acting career was having a renaissance late in his life, and he appeared in recent films such as 'Gladiator (2000)' and 'The Gangs of New York (2002)'. He died of a heart attack, on the set of the movie, 'Samantha's Child', on the 3rd of December 2003.